Ahead of Sotheby’s, Christie’s auction house released their catalog of jewelry and gems for their highly anticipated Magnificent Jewels auction which will take place in Geneva in November. The auctions in Geneva are the most exciting ones of the year, because they are the ones that attract the biggest diamond investors and diamond enthusiasts. In fact, these Geneva auctions are notorious for earning extremely high diamond prices for the highest coveted diamonds that appear! It is well known that Sotheby’s and Christie’s reserve the best diamonds for these auctions, and for this reason, the entire world waits excitedly to see which diamonds these will be. The Christie’s catalog does not disappoint, with its star fancy color diamond an incredible and large pink diamond! Pink diamonds and blue diamonds are the diamond colors that elicit the most excitement. 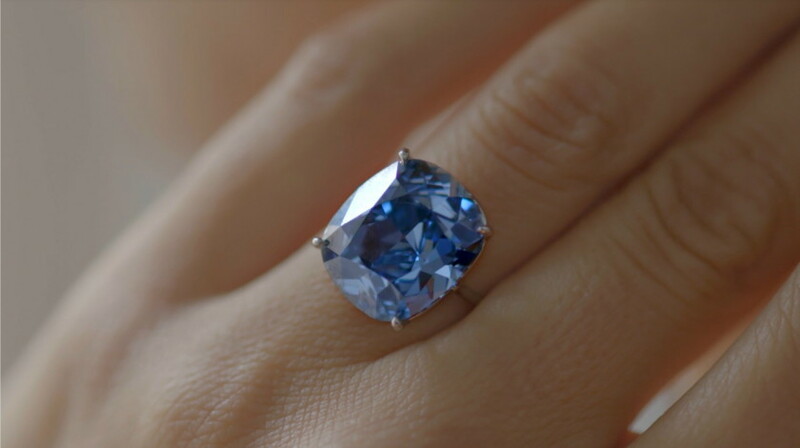 Last year alone, an amazing $48.5 million was dropped on the Blue Moon of Josephine diamond at Sotheby’s in November, bringing it straight to the top of the most expensive diamonds list. 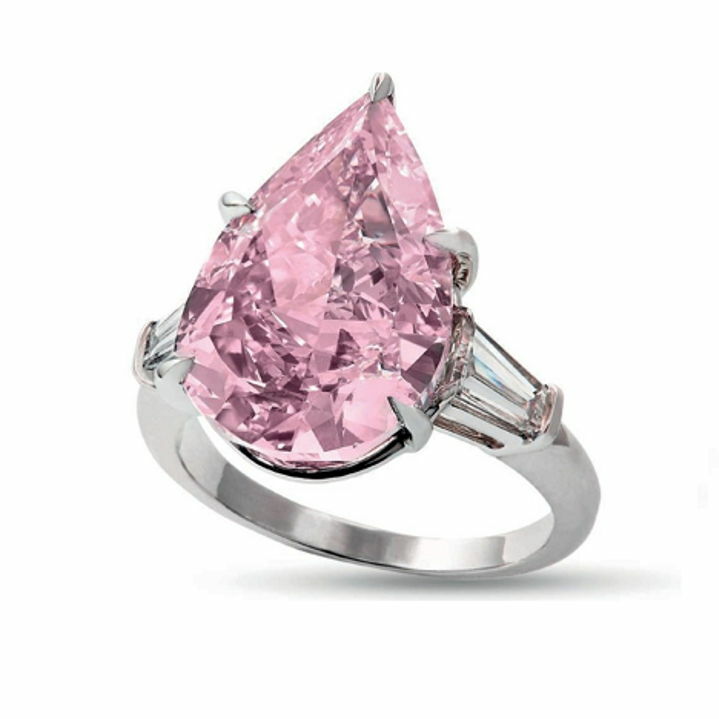 Of course, this followed a purchase by the exact same buyer of the pink Sweet Josephine diamond the day before for $28.5 million. With results like that merely a year ago, it is anybody’s guess what this year will bring. The world is eagerly awaiting the debut of the 9.14 carat Fancy Vivid Pink VS2 pear shaped diamond that will be up for auction at Christie’s on November 15. Aside from its incredible beauty, its claim to fame is that it is the fifth largest ever vivid pink diamond to be sold at auction. 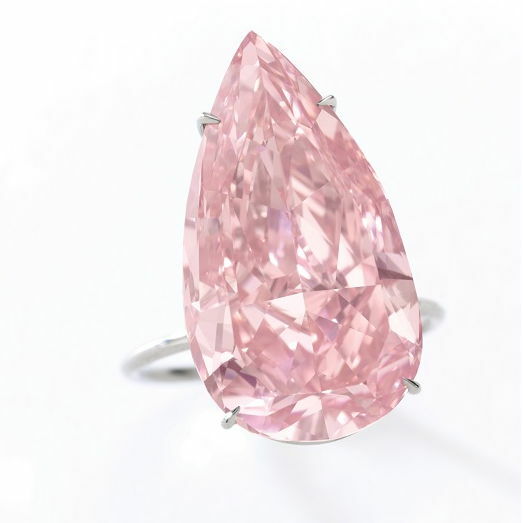 Christie’s has valued it to sell for $16 million – $18 million, or $1.75 million to $1.97 million per carat. The diamond has the potential to earn even its highest estimate. However, even if it does, it would not earn the title of the most expensive Fancy Vivid Pink diamond to ever sell at auction. That title belongs to the Unique Pink diamond, which was sold for $31.56 million. Considering that the Unique Pink is 15.38 carats, about 1.5 times the size of this diamond, it is hard to imagine that this diamond will earn a similar amount. However, perhaps it will make headlines and even gain an exciting title along the way! What do you think? Does this diamond deserve to be the center of the auction’s attention? « Will President Trump Affect the Diamond Industry?